Villa Rústica is a rustic holiday home with private nice garden and swimming pool. The house is situated in a quiet part of the urbanisation Vale da Telha (Aljezur) 5km to the beach and is equiped for 4/5 people. 1km from the restaurants and grocery. Outside is a nice terrace with sunbeds and bbq. The historic town of Aljezur (7km) has a range of shops, restaurants, banks, a post office, supermarkets and museums. 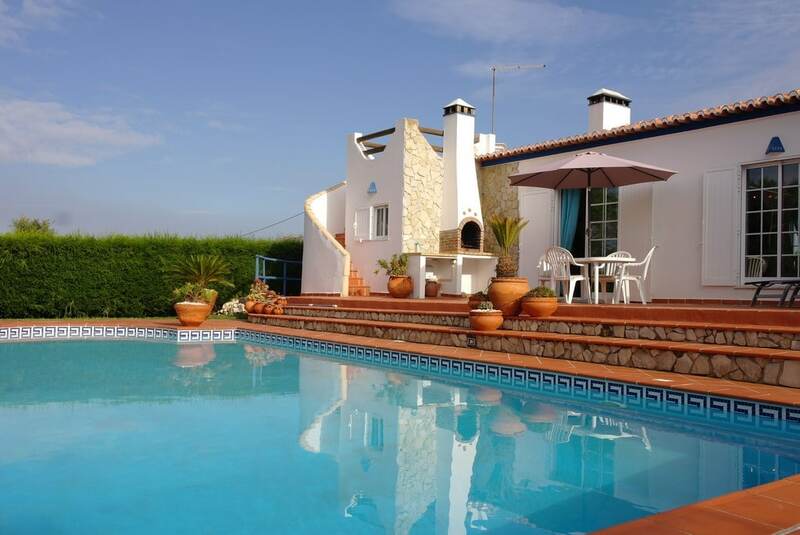 Situated at the foot of the Monchique hills in a beautiful green environment. Have a walk in real nature (Rota Vicentina)!! The bedrooms have sufficient wardrobe space. Around the house you have plenty of private space. Outside furniture: outdoor table, chairs, parasol and loungers are provided. There is also a barbecue, pool and shower. Great view from the high terrace.